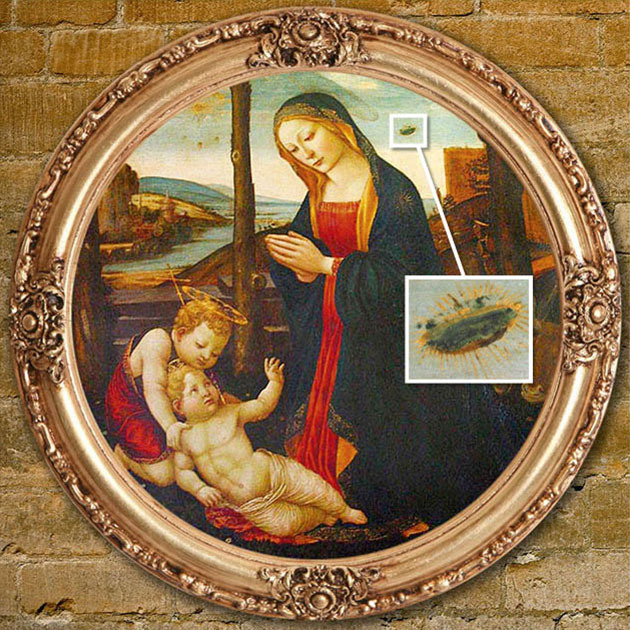 Can you spot the mysterious UFOs in this ancient artwork? Perhaps the most famous of all is Domenico Ghirlandaio’s painting. Currently on show at the Palazzo Vecchio in Florence, Italy, it shows Mary praying whilst in the background a man with his dog on a hill are looking up at a UFO in the sky. And this one definitely looks like a UFO! Good job Mulder and Scully are coming back, maybe they can shed some light on these! Have you ever spotted a UFO? Let us know!